Manistee County in Northwest Michigan has numerous activities to keep you busy, regardless of age. 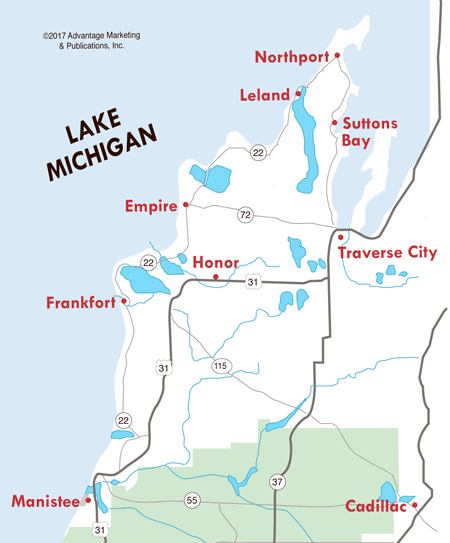 Visit the beaches of Lake Michigan or an inland lake, hike in the Manistee National Forest, try your luck at a casino, play a round of golf, walk out to the lighthouse, or enjoy the view along the downtown Manistee Riverwalk. The purpose of this association is to promote the Manistee County sport fishery and fishing tourism. For Manistee County fishing tournament info, fishing reports and charter fishing captains, check out the association website.